Family having fun outdoors in summer. 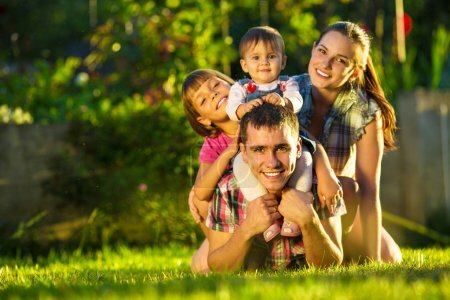 Happy young family having fun outdoors in summer. Mother, father and their cute little daughters are playing in the sunny garden. Happy parenthood and childhood concept. Focus on the father.